I have something that I can’t believe I haven’t shown yet, because I made it ages ago. Ages ago meaning last winter. A friend of mine (from Big Bug Collection) moved into his new house, and basically bought paint and gave a couple of us complete freedom to paint his entire house with whatever creations we felt like, for a weekend long. Imagine my excitement. 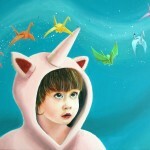 One of the paintings I did was a real size rainbow zebra unicorn. Yes, I did say that. And I do pretend like I know what the ‘real size’ is. Video of the process of painting the rainbow zebra unicorn. 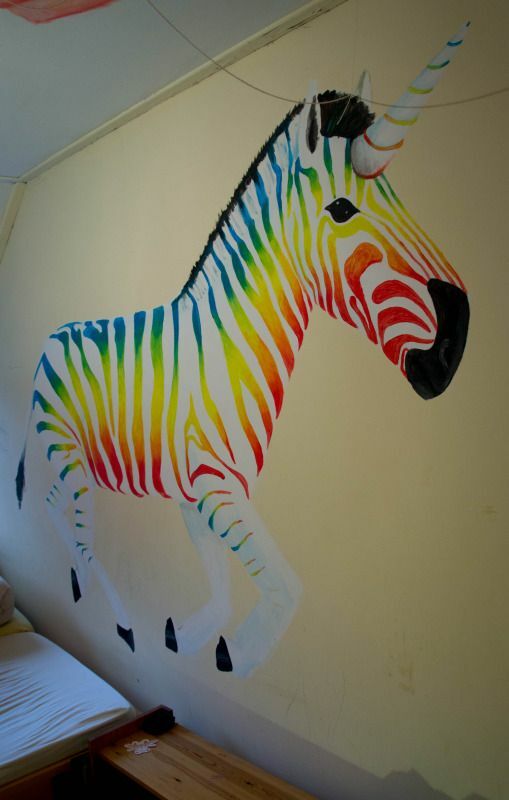 I would let you paint my flat’s walls too, had I one :D amazing! 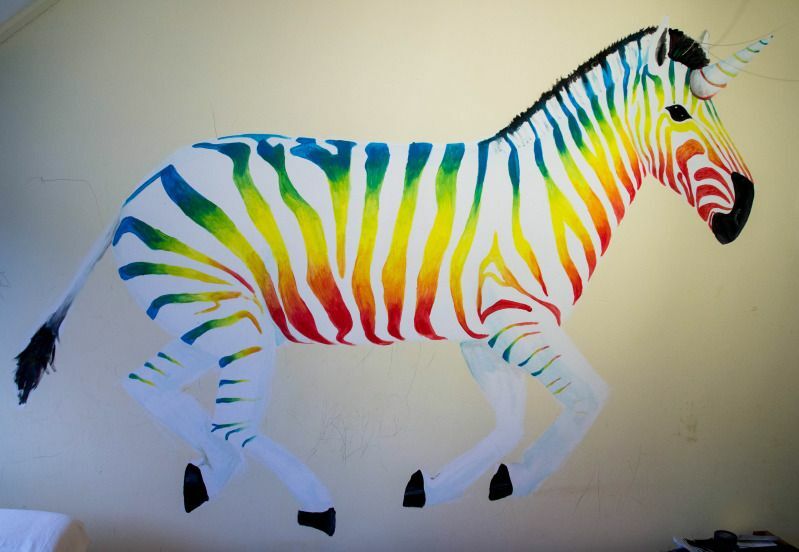 I love your rainbow unicorn zebra! Does he have a name? Not yet. I just call him rainbow zebra unicorn at the moment. But I am open to suggestions! Thank you. And you can do almost anything if you practice! Oh my! Pretty and unique. 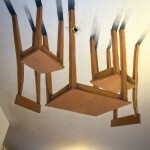 I like it , what a great project….